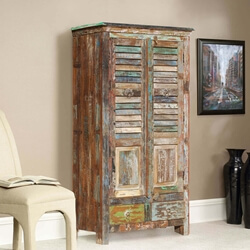 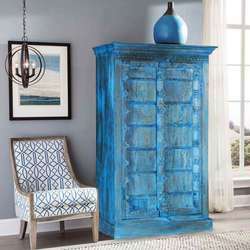 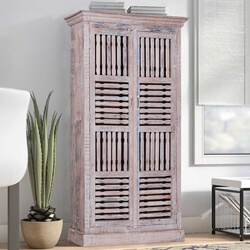 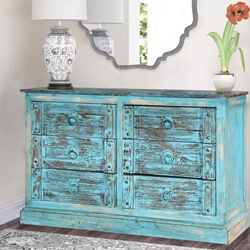 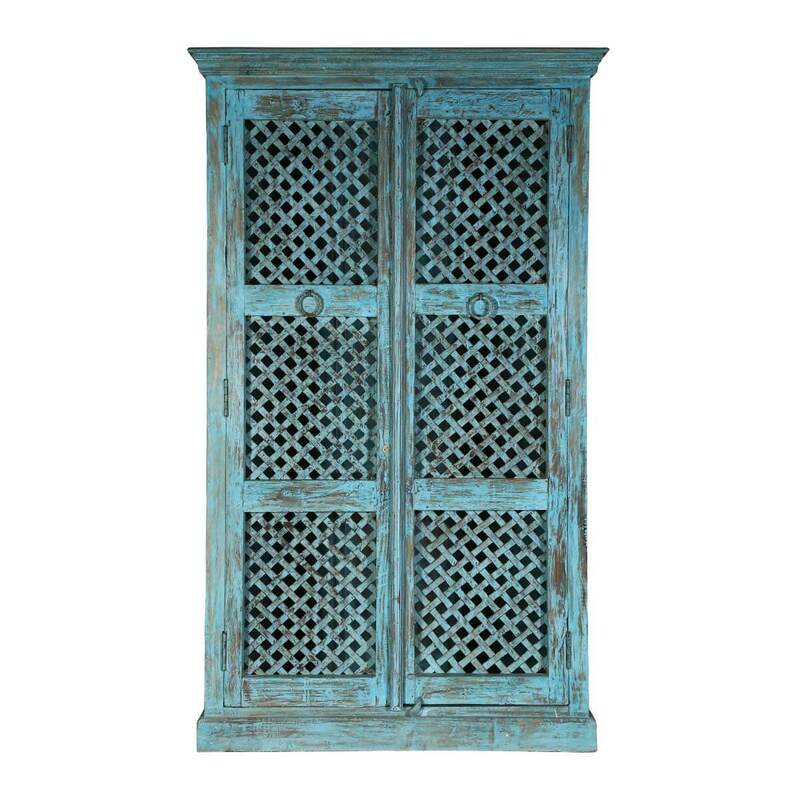 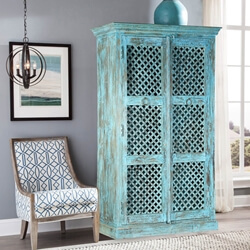 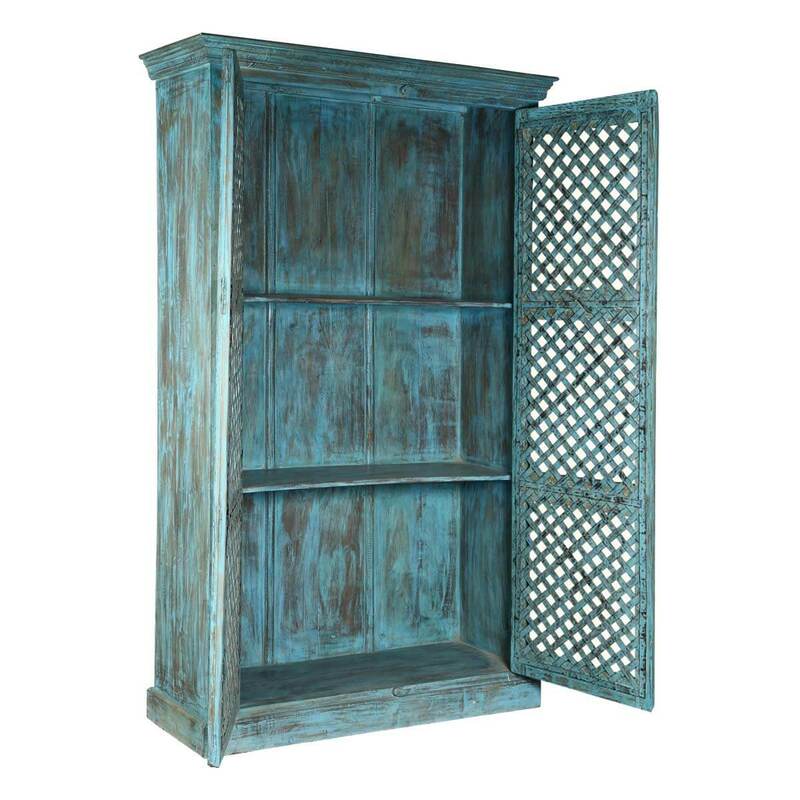 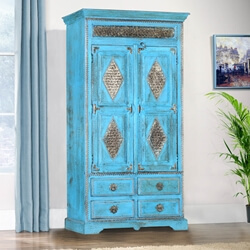 Keep thing simple, honest, and blue with our Rustic Distressed Blue Lattice Door Solid Wood Large Armoire Cabinet. 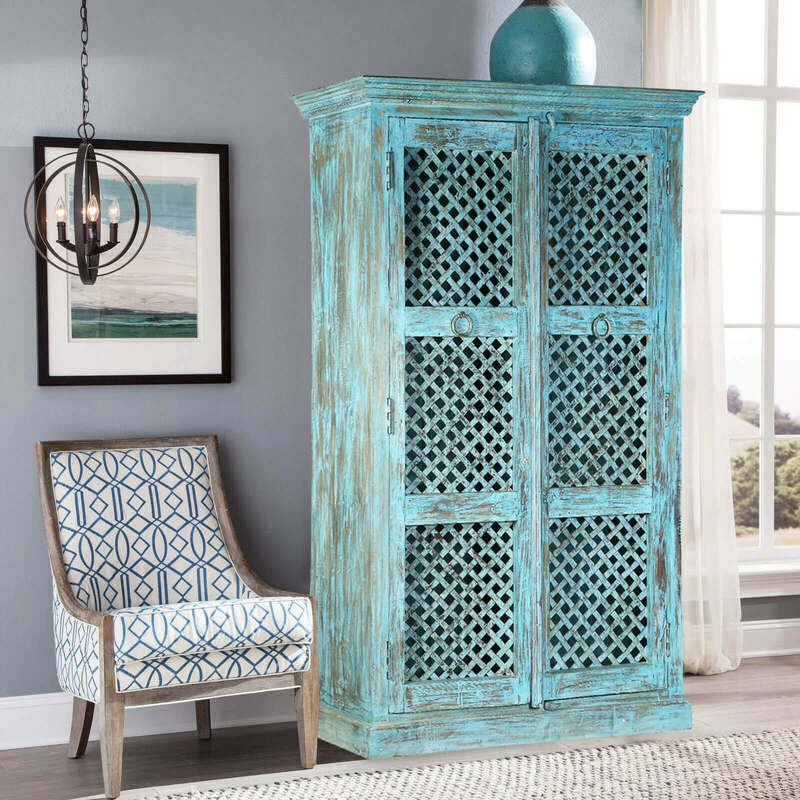 This large freestanding tall armoire cabinet totally replaces the closet, and it can be moved to any room, whenever you want. 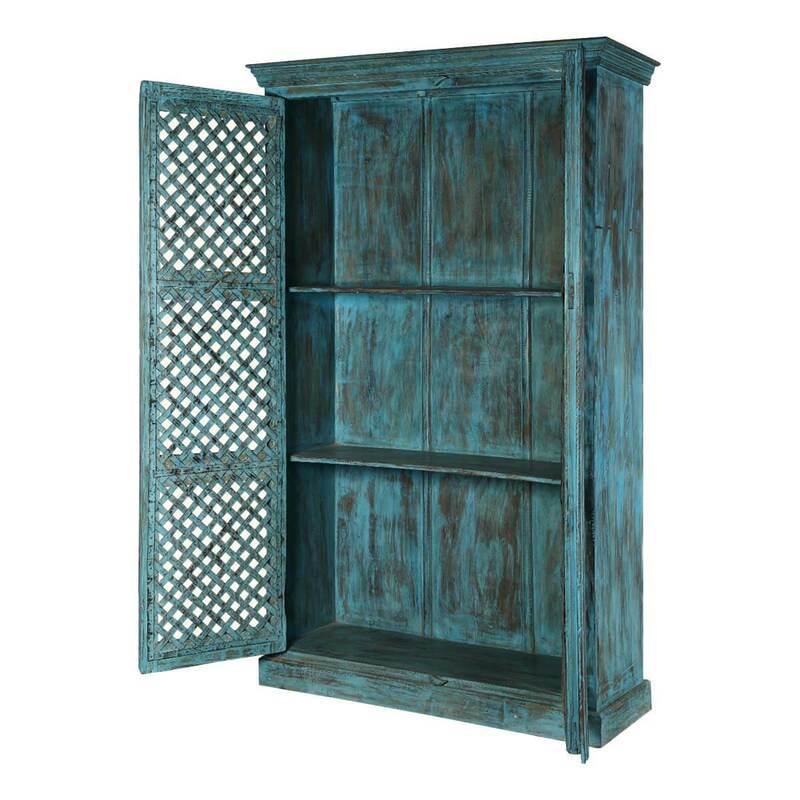 The double lattice doors open onto a huge 3-shelf storage area. 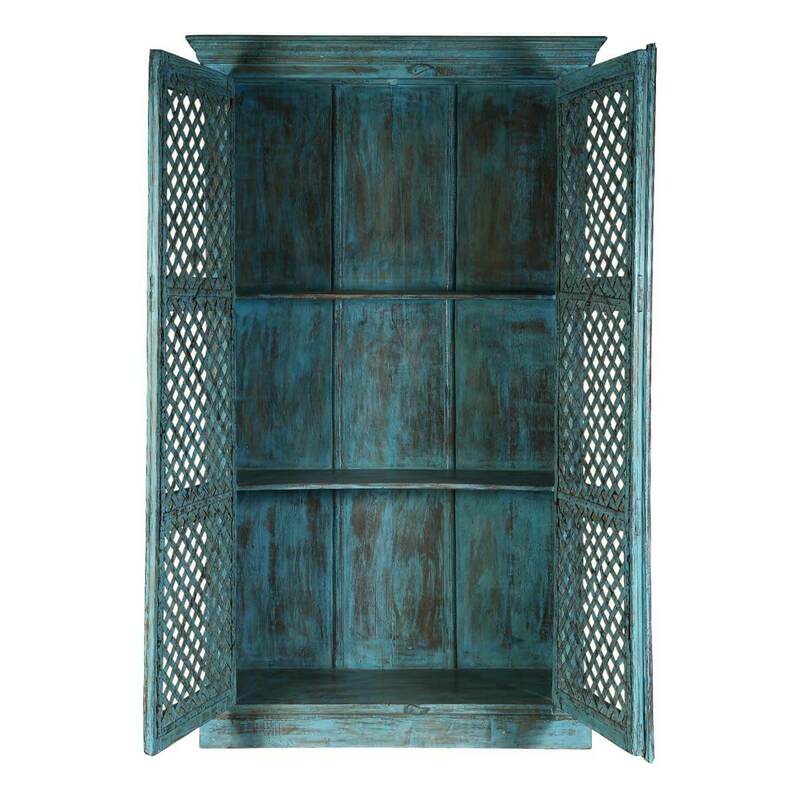 Airflow is allowed to move into the interior through the three iron lattice ‘windows’ in each door. 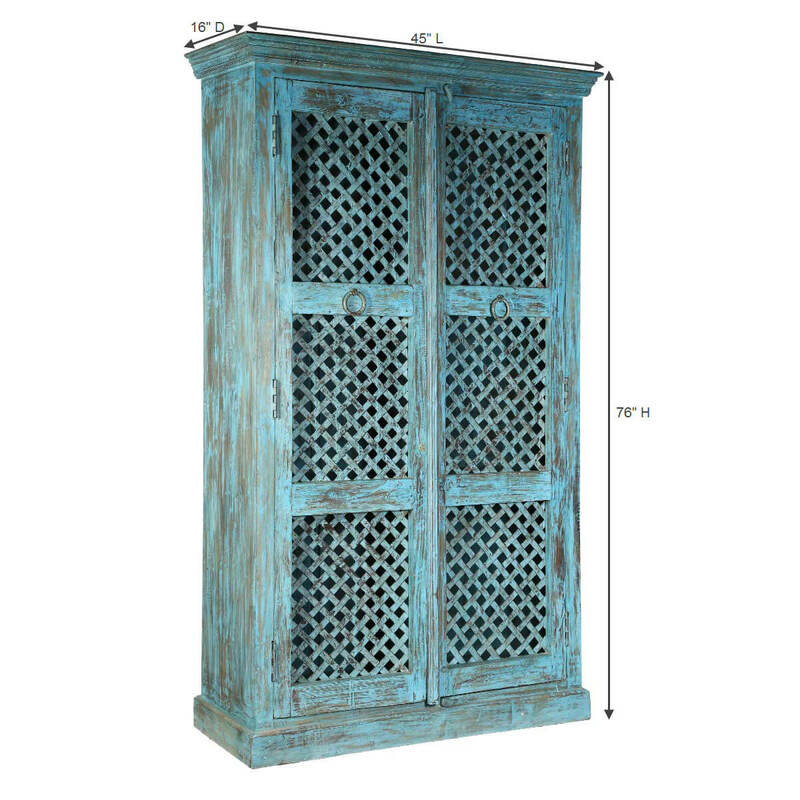 The large armoire cabinet stands on a simple frame base. The rustic blue armoire is handcrafted using solid reclaimed wood.